SACRAMENTO — On Wednesday, Assemblymember Al Muratsuchi’s (D-Torrance) Assembly Bills (AB) 1646, 1647 and 1649 passed the Senate Environmental Quality Committee. AB 1646 calls for the creation and maintenance of a publicly accessible community alert plan, using notifications such as reverse 911, text, email PSAs, as well as the maintenance of a public alert system. AB 1647 will require the installation and maintenance of air quality monitors at the refinery fence line and in the community, while AB 1649 will codify and make permanent the existing Interagency Refinery Task Force created by Gov. Jerry Brown. The bills are part of the California Refinery Jobs and Safety Action Plan, which includes five Assembly bills to improve public safety at all California refineries. “The Torrance Refinery, and all California refineries, must make public safety their number one priority,” stated Muratsuchi. “When the refinery exploded in Torrance two years ago, my wife, daughter and I lived just a few miles away. 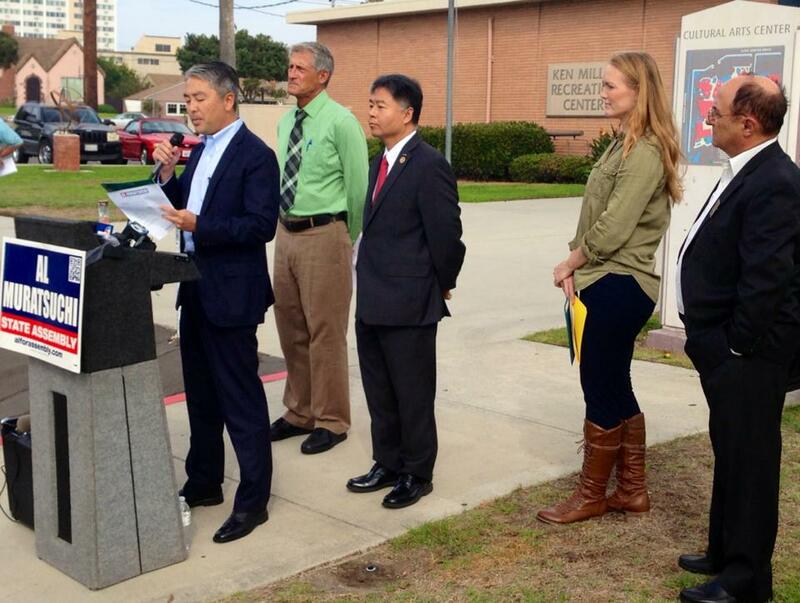 Since then, I have worked with local residents to develop a six-point Torrance Refinery Safety Plan. This bill is the direct result of my work with the community. Muratsuchi’s California Refinery Jobs and Safety Action Plan also includes AB 1645, which will phase out the use of hydrofluoric acid by California refineries, and AB 1648, which will increase the number of state refinery inspectors at the California Division of Occupational Safety and Health (Cal OSHA).